This full body puppet is made by the Puppet company and measures 33cm x 18cm x 12cm. 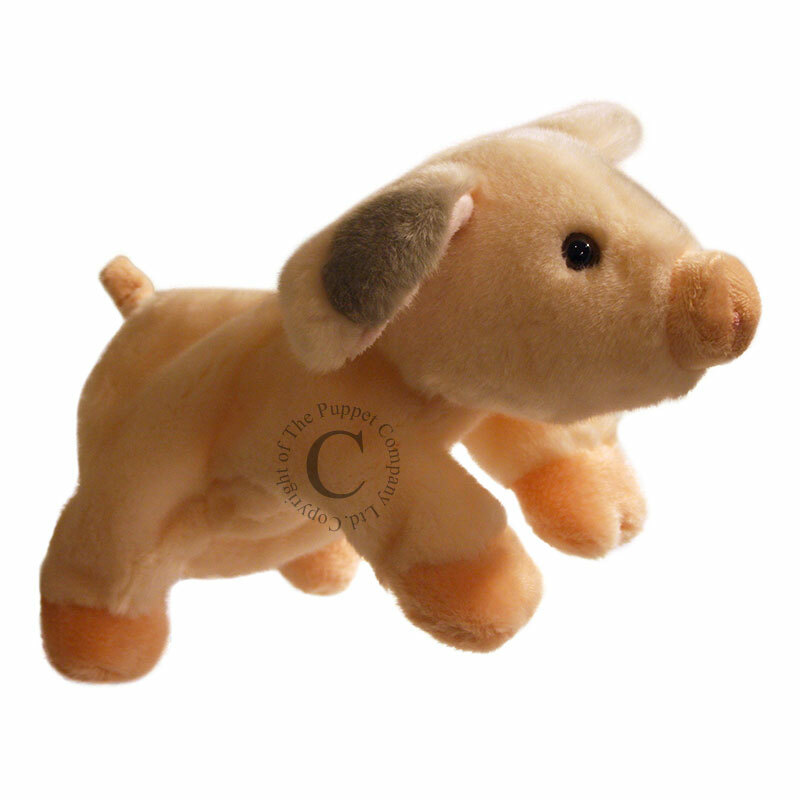 He is such a cuddly little porker made of soft pale pink fur and has adorable grey splodges on his ear and round one eye. Your hand will reach into his head and front legs to bring him to life!